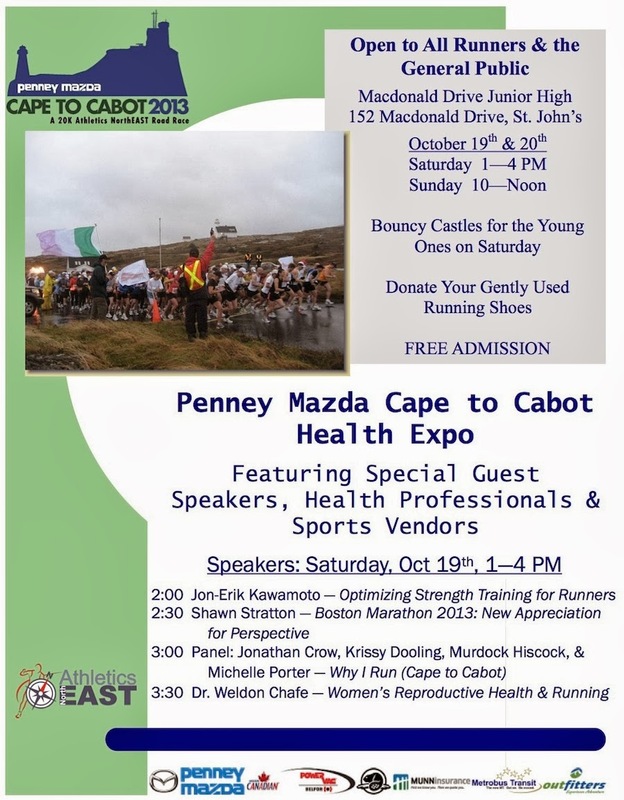 Cape to Cabot is hosting a Health Expo for runners this Saturday from 1-4pm and Sunday from 10am-noon at McDonald Drive Junior High. Free of charge and open to the general public, the Expo features health professionals (physio, chiro, etc) and sports vendors. Guest speakers include Jon-Erik Kawamoto with expertise in strength training, Shawn Stratton talking about his Boston experience, a panel of runners speaking about what inspires them, and Dr. Weldon Chafe, a marathon runner and gynaecology/obstetrics/oncologist specialist speaking on women's' running issues from pregnancy to cancer. And there's a yoga session at 1:30pm on Saturday! 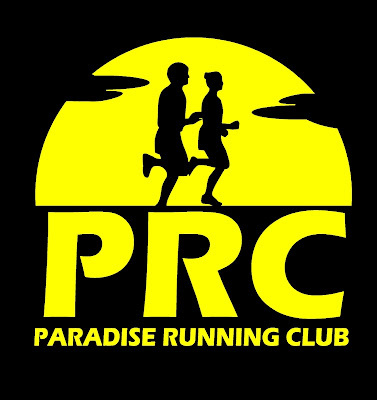 Race starts 8am Sunday morning with "Live" finishing times posted HERE. And for all you Twitter fans please use the hashtag #capetocabot as all tagged tweets will be streamed at capetocabot.com.